The holiday season is in full swing: Christmas music is playing in all the stores, people are hunting for the best sales, holiday lights illuminate the community, and inboxes are flooded with emails as businesses capitalize on the money-spending season. Oh, all the holiday promotional emails! It’s a fight to the inbox for every business, fueled by deliverability best practices and segmentation strategies. And while these holiday email best practices certainly apply to every type of business, let’s specifically look at how financial institutions can optimize their deliverability and, in turn, receive higher open and click-through rates that increase audience engagement and lead conversion. The goal is to get your email in the optimal primary inbox, especially as more Internet Provider Securities (IPSs) automatically sort emails as promotions, updates, and let’s not forget the dreaded spam folder. ☑ Does the subject line convey Who, What, Where, When, Why? Tempted to write a clever click-bait or catchy subject line because that’s how you’ll stand out? Well, I have some unfortunate news–everyone else is generating catchy subject lines, which means the consumer’s inbox is just going to be full of them. When almost every email has a subject line with an inquisitive question (“What’s your wallet saying this holiday season?”) or vague exclamation (“Cash back for the holidays!”), your email is going to blend in with the rest. So break free of the noise with a direct subject line that actually addresses what the email is about. When recipients know the important information upfront, they’re more likely to open the email, which of course translates to higher open rates. Include the cash-back dollar amount, short description of the holiday loan, exactly when and what the seasonal deals are on your financial products, or what someone gets if they switch to your financial institution (“$100 back for the holidays when you open a checking account”). It’s worth it to note that I’m specifically talking about the subject line, not the preview text. 59% of emails are first opened on mobile devices, so keep in mind how consumers view their inbox. First impressions are everything–and that’s the subject line, especially for mobile devices. It helps your deliverability when the subject line and preview text complement each other or are very similar, and it’ll boost your email above the saturated catchy subject lines even with informational preview texts. ☑ Is the segment being sent to Engaged? Engaged recipients are the people who have opened recent emails from you, and unengaged recipients are those who haven’t. If you consistently send content to unengaged individuals, it can actually result in a negative reputation score for you, which translates into poorer deliverability. For instance, if your customer hasn’t opened one of the last six or seven emails from you, they’re beginning to show that they might not be so engaged anymore. Evaluate the content you are sending these recipients and figure out if it’s still relevant–are you accidentally sending them information about a credit card they aren’t eligible for, or promoting an auto loan when they bought a car this past Memorial Day? It’s okay to put these less-than-engaged recipients into a separate segment, so you can confidently deliver your emails to the engaged ones who are already more likely to open your emails. Make it even easier for them to boost your open rate (and, therefore, deliverability) by showing up in the prime real estate of their inbox. If they haven’t opened your last 20 emails? It’s time to say goodbye and move them to a disengaged segmented list. Don’t worry, you’re not deleting them from your contacts! Nor is it a break-up with a disengaged customer (because after all, you can have a very happy customer who just doesn’t open your emails). This segmentation is a practice to help your message better able to get into engaged customer and prospects’ inboxes. Pushing out content that has already proved not to engage recipients doesn’t benefit anyone, so it’ll require a different approach (e.g. a re-engagement campaign) that doesn’t harm your holiday deliverability. ☑ Are the recipients the target audience of the email? Similar to sending your emails to engaged recipients, you want to be sure they’re also the target audience to receive the email’s content. The more targeted you are with who of your audience you want to engage, the higher the likelihood that they will open, click, and convert as a lead. 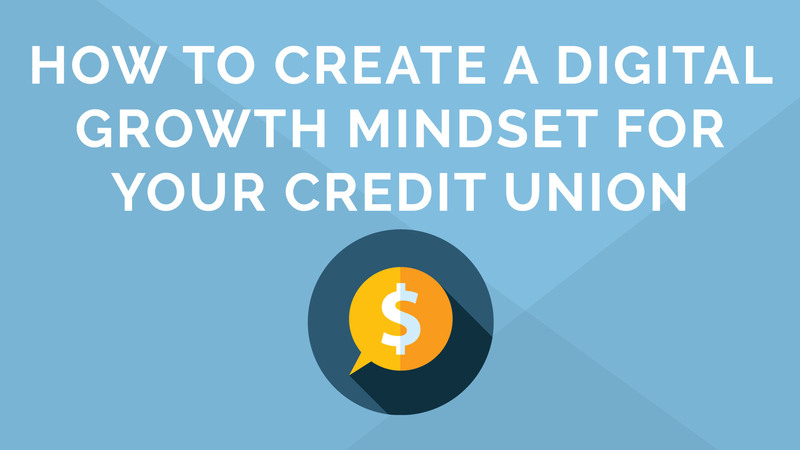 They’ll recognize the message is personalized and tailored to their needs and demographics, which boosts your financial institution’s credibility and helps build trust with your audience. After all, 88% of consumers say they’re more likely to shop with brands that deliver personalized and connected cross-channel experiences. Yes, there are the business-wide newsletters, promotional offers, and company events that you want everyone to see. However, put yourself in your customer and prospects’ shoes: they’ll pay more attention to your emails (and financial offerings) if they know it will have value specifically pertaining to them. Are local branches doing a holiday gift drive? Send emails to customers within those regions. Consider generational gaps and life events associated with each; first-time homebuyers are more likely to be millennials, while those preparing for retirement lean toward baby boomers. Treat them the way they expect to be treated, just like if they were to walk into an in-person consultation with you. ☑ Is this email part of an intentional strategy? This is particularly important as email marketing gets more sophisticated and predicted engagement has more weight in the deliverability outcome. Tied into the above checkbox about sending to your target audience, you simply have to be intentional with your strategy about who gets what email when–and seriously, it’ll show during the fight to the inbox when you’re competing against less savvy marketers using the good ol’ batch-and-blast approach. If you’re sending an email to a prospect, you need to know where in the customer journey they currently are to provide them with the most relevant, valuable information. Did they use your holiday budget calculator? Instead of outright pushing your financial products in the follow-up emails, keep the content information-focused and relevant to holiday budgets with sprinkles of how your business can assist them, like with a debit card that offers great cash back rewards at favorite retailers. If they click for more information about that debit card, you can set up your marketing automation platform so that triggers the next email to have more emphasis on the offering. How about new customers? Emails they receive will be structured around onboarding to the financial institution, including introductory information, welcoming sentiments, website and resource navigations, account management, and how they can get the most value out of the financial products they now have. Subsequent emails can include holiday-inspired upsells that draw on their engagement activities from these onboarding emails, and assist with building their persona made up of digital breadcrumbs. As you aim to move your targeted audience through the funnel and closer to a product decision, it’s essential to know where they currently are in the journey to best deliver the right content at the right time. Remember: deliverability is increasingly more dependent on recipients’ predicted engagement–the better strategy you have to engage them, the better response with engagement, the better placement in the inbox. ☑ Does the email have a clear call-to-action that is a click? Your clear call-to-action is specifically how you intend to guide your recipient through the customer journey (wherever they may be in it). Importantly, the click is the measurable and trackable component of engagement–so remember to have your CTA clickable! Hyperlink your “Register now” for the upcoming webinar on how to use cash back rewards; “Make holiday shopping easier” for prepaid gift card promotions; and “Enter to win” when you’re hosting a prize drawing for customers who switch financial carriers. Recipients are actively engaging when they follow through with the CTAs, and therefore, the deliverability is going to rank better. It all circles back to open rates and the subsequent click-through rates. ☑ Do all the links work and are they non shortened? Pretty standard for any email, right? Send a test email to a colleague and ask them to click every link and make sure they’re all good. Working links are always key for any email, and broken links dock your deliverability score (not to mention lead conversion opportunity). Similarly, shortened links also hurt your deliverability–which is a very different story than a few years ago when shortened links were all the rage. IP addresses do not trust shortened links anymore because they can hide malware and other unwanted things so easily. Deliverability protects your recipients and if it registers a shortened link, it’ll lower your optimal deliverability. Instead of including these links in the body of the email, include their entirety embedded in radio buttons or text. ☑ Do all pictures have Alt-Text? ISPs are getting better at preview images and expecting that recipients have a similar email experience whether they have images enabled or disabled. If they aren’t similar, your deliverability is negatively impacted. Alt-Text is the answer to making this email experience similar for your customers who allow downloadable images and those that don’t. As you create your email in Act-On, right-click an image to edit, then use the Alt-Text box to describe the image. Something as simple and direct as “Woman swipes credit card at retailer” is all you need. Or, if the image includes a sign or text graphic, be sure to include what the text reads (“Image: ‘Free gift wrapping at your local branch!’”). Are all your best practice boxes checked? Great! Because Q4 year over year has the lowest overall open rate, and you’re swimming against the tide with such an influx of emails pushing holiday specials. Your competitors have their own financial offerings, but 69% of them do not utilize a marketing automation platform to nurture leads through the buying process. Take advantage of the available tools and make deliverability work in your favor. Lexi is the PR Manager at Act-On Software.